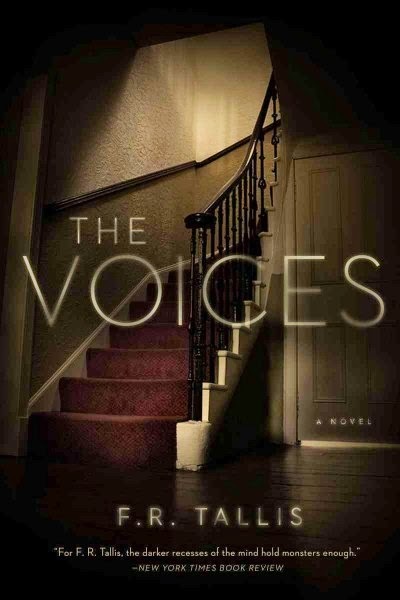 The Voices by F.R. Tallis is a horror story set in England in the 1970s. It tells the story of a young married couple expecting their first child, and the old Victorian house into which they have just moved. Chistopher, the husband, is a movie score composer and plans to use the spacious rooms of the house to set up his recording studio, while Laura is a former model who wants to step back from the fast paced world of fame in order to raise their daughter, Faye. Christopher soon discovers that when he plays back the recordings he makes in the house, he can hearvoices on the tape reels. Further investigation into the history of the house leads Christopher to believe that one of the voices on the tape belong to the former owner of the house, an illusionist who disappeared under mysterious circumstances. Rather than be overly concerned with the fact that recording in the house seems to be picking up the voices of the dead, Christopher decides to use the ghostly recordings as part of a new composition. Laura, meanwhile, becomes concerned when one of the voices begins to take an interest in their infant daughter. To anyone who might be an avid fan of horror movies, this plot may seem familiar. I definitely have seen similar plots before, on the screen. However, I was pleasantly surprised to learn that I did not become bored with the plot at all. In fact, it was somewhat reminiscent of the first season of American Horror Story, in which anyone who died in particular house was then stuck in that house as a ghost. In the case of The Voices, it seemed to be a similar case, except the ghosts could not be seen, only heard through an recording or other electric medium (there are times when the voices can be heard through the baby monitor static). But as stated previously, the concept of the haunted house occupied by a new family is a plotline that is very well used, so much so that it could be hard to muster up a proper scared reaction to it. So where then, does this feeling of horror come from? For me, it came from the feeling of helplessness exhibited by Laura. Throughout the book she is aware that something is wrong with the house, that something has targeted her baby, and that something is physiologically affecting Faye to the point where Laura begins to seek medical attention for her child. And at each point, when Laura exhibits her concerns or her fears, she is brushed off by all of the men around her. Christopher thinks she's overreacting and trying to stifle his artistic expression, the doctor refuses to give any credence to her concerns and is condescending and dismissive, and even their friends don't believe her fears to be anything more than over protectiveness. This sense of helplessness and frustration at being marginalised when the lives of your loved ones are at stake elicits a different kind of horror than a normal jump-scare would. The book focuses less on the history and nature of why the house is the way it is, and focuses more on the devolving relationship and mental states of Christopher and Laura and what can happen to a person when everything and everyone around them is determined to work against them. While it may not necessarily be the outright scariest horror story I've ever experienced, it has a definite sense of apprehension and dread that kept me determined to see how the story played out. See if you feel the same: The Voices by F.R. 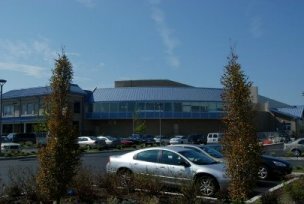 Tallis is available at the Ocean City Free Public Library.